This past weekend was a weekend full of birthdays. Hannah Arendt’s 111th birthday fell on Saturday (October 14th), and—in an interesting coincidence—Michel Foucault and Friedrich Nietzsche share a birthday (October 15th). 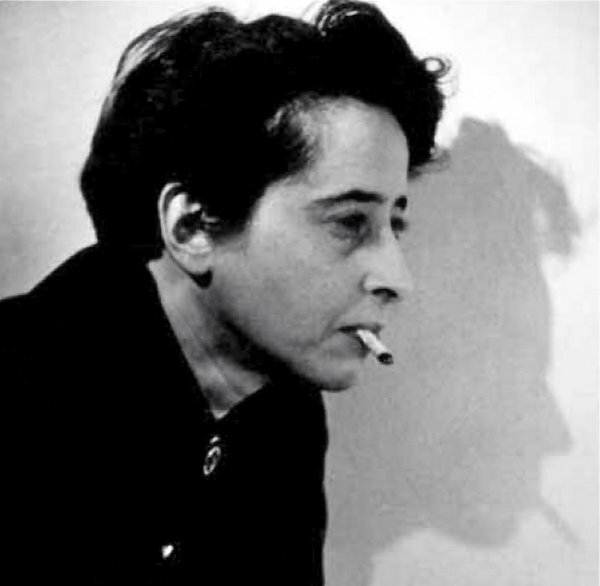 I teach and write about Foucault and Arendt, and there is a Nietzschean spirit in both, though Arendt’s engagement with his work ended abruptly with her death. I am not an exile in the way writers like Arendt were—she escaped the horrors of the Holocaust, what she called the “dark times” of the twentieth century. Nevertheless, Arendt, Foucault, and Nietzsche were exiles in a broader sense: they were iconoclasts who placed the substance of their work above all hope of fitting within a larger mold, and especially the molds of their times. I think there are some lessons here for the exul among us: the “banished,” the outlaws. That is not to say that I am unprivileged. I am writing this behind a desk in my office at a university, where I have a tenure-track appointment. However, as a scholar of critical (whatever that means) international relations, I know the feeling of writing from a position of “altogether elsewhere” in a discipline that values certain types of (scientific? quantitative?) work over others. Write Frequently, Write Well: Write like Arendt—so well that people call you a journalist, not a political theorist—as was the case with Arendt’s work until its relatively recent revival. Write like Foucault—so well that guidebooks on academic writing use you as a guide for “stylish writing.” Write like Nietzsche, with the depth and poetry of a novelist. After all, one of his most famous works was a novel. Connect with Other Outlaws: Find excuses for collaboration beyond your field, your expertise, your department, your place in the world. Find this in sympathetic colleagues, and in literatures that make you uncomfortable, or—in the best case—make you feel like an amateur. Foucault could read Clausewitz as well as he could read the ledger of a prison or the scribblings of a psychologist. It is what made him one of the most significant historians of the twentieth century. Approach Action the Way You Approach Thinking: We cannot be satisfied with what Arendt called the Vita Contemplativa, or “the contemplative life.” Politics is about action. Foucault, too, was involved in political activism, despite the fact that he was an enormously productive scholar by any measure. We must have our eye toward the relationship between our work and political action. Are we really critical without that? Tear It All Down to Build Something New: Nietzsche heralded the death of God. Foucault, in many ways, heralded the death of Man. However, their thought was not a nihilism. Nietzsche saw a rethinking of morality as a joyful enterprise, and Foucault’s own ethics of a care for the Self shows that tearing something down can be emancipatory, it can provide a space for something new, and altogether beautiful. It would be trite to end this post on the note that “IR needs a closer engagement with Nietzsche, Arendt, and Foucault.” In fact, good work in IR already has begun this project (see, particularly, here, and here). I will say, however, that those among us—scholars writing on the margins of the field, at its borders, gazing out at the possibilities that frontiers offer us—should reflect on how, and why, we do what we do. Why it is important to devote our careers to it. Why we are proud outlaws.